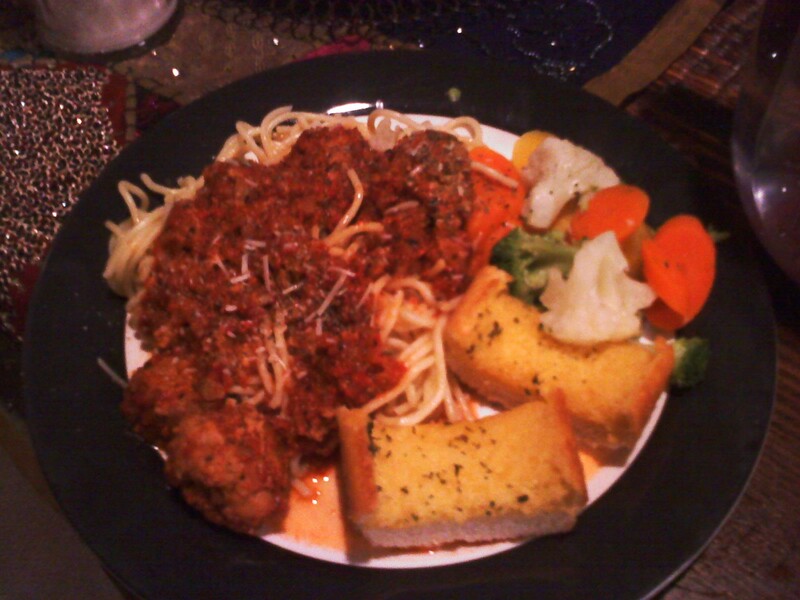 Tonight I made a spaghetti dinner for my missional community. I had to worked overnight the night before, so I needed to come up with something that could cook on its own as I slept. I found this slow-cooker recipe that turned out to be very good. It had a little kick to it as you first taste it because of the red peppers, but then it gets more mild as it sits and the flavors really sink in. I ended up having 10 people and 4 kids from my church in my little apartment. I really enjoy having a chance to host and be a blessing to others. There are some great cooks in my MC, so I get a lot of good critiques from them. 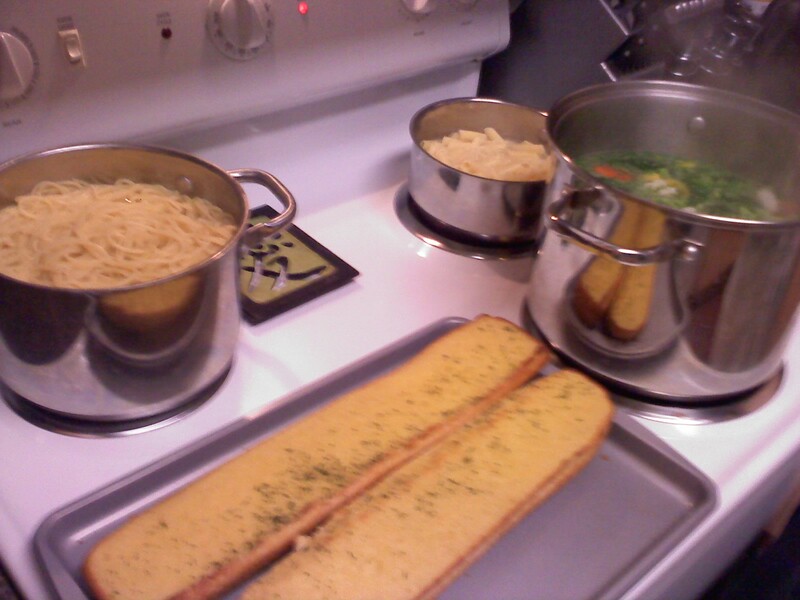 I made some garlic bread and vegetables to go along with the meal. I also cooked up some gluten-free pasta for the ones with sensitive stomachs. We had a great night of food and fellowship in my home. I also had my kids and they enjoyed having the company over. Whisk the breadcrumbs, egg, 1/2 teaspoon salt and 1/4 teaspoon pepper into the remaining onion mixture. Mix in the turkey. Form 1 1/2-inch meatballs. 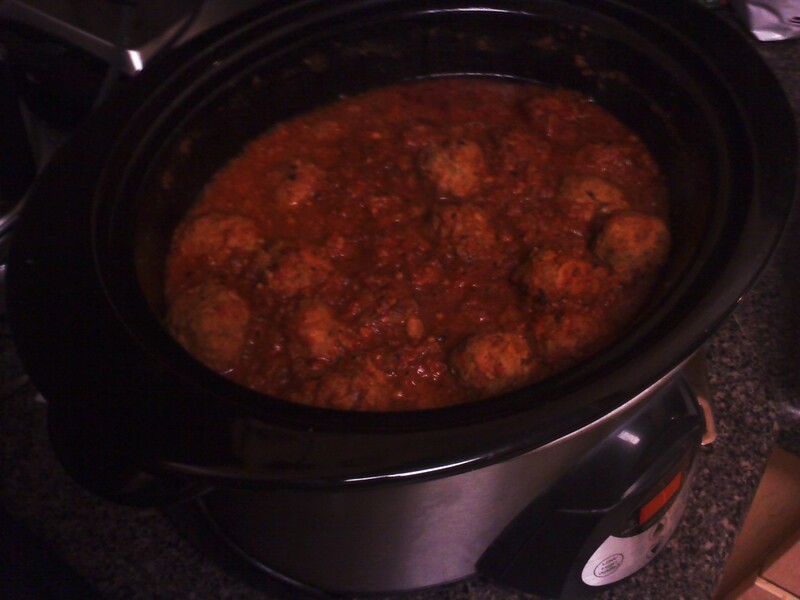 Add the meatballs to the slow cooker. Cover and cook on low heat for 6 hours. 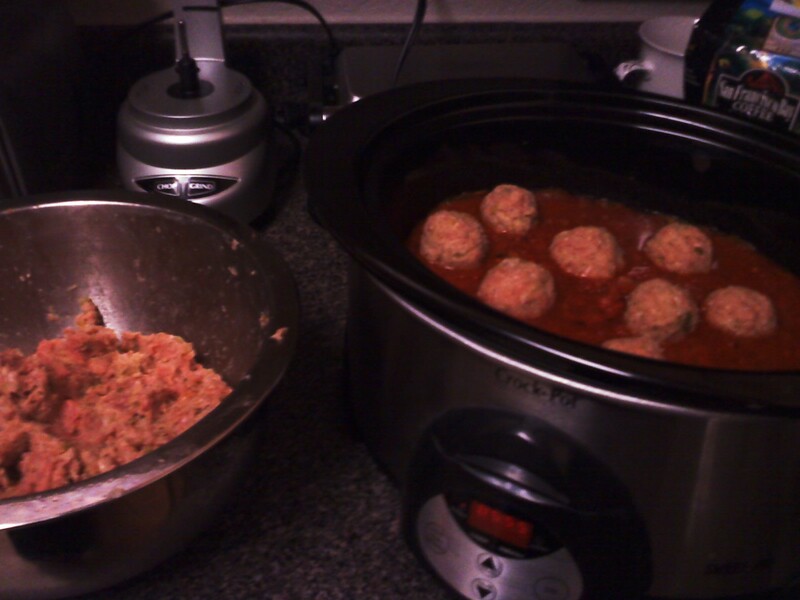 This entry was posted in Italian Food, Recipes and tagged blessing, garlic bread, Home cooking, Missional Community, pasta, slow cooker, Spaghetti, turkey meatballs by ttimmons. Bookmark the permalink.